Mayor Muriel Bowser brings a pragmatic, inclusive, hands-on approach and is committed to creating pathways to the middle class for all District residents. She campaigned on delivering a fresh start to the District, and that is exactly what she has done. Sworn-in on January 2, 2015, as the District’s seventh elected mayor, Mayor Bowser has made significant contributions to create economic opportunity throughout the District. Bowser has expanded the Summer Youth Employment Program to include residents ages 22 through 24, which added 1,000 jobs for youth for 2015; extended Kids Ride Free to Metro Rail, making it easy for students to get to and from school; added $100 million in the Housing Production Trust Fund to expand affordable housing opportunities; and made historic investments to end homelessness. With a keen focus on engaging residents and harnessing fresh ideas, Mayor Bowser kicked off her first budget with a series of budget engagement forums to obtain their input on the front end. With residents’ feedback in hand, Mayor Bowser closed a nearly $200 million budget gap while investing in programs that expand opportunity for residents. The Mayor’s budget for Fiscal Year 2016 – which begins on October 1 – supports enhanced public safety, accelerates the pace of education reform, and improves the District’s vibrant neighborhoods and the environment. In addition, Mayor Bowser is committed to maintaining the District as a hub for innovation, increasing the District government’s response to the needs of residents. 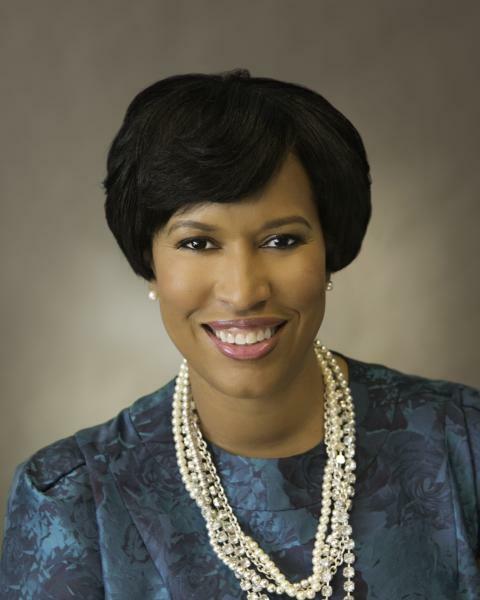 Prior to her time as Mayor, Bowser served as the Ward 4 councilmember of the DC Council – first elected in a special election in 2007, and re-elected in 2008 and 2012. As a Councilmember, Bowser served as the Chairwoman of the Committee on Economic Development which created more than 5,000 units of affordable housing, passed legislation to build a new soccer stadium and secured from the federal government the best portion of the Walter Reed campus for DC Bowser led her colleagues to pass comprehensive ethics reform and increased transparency in government contracting. Bowser also served as an Advisory Neighborhood Commissioner in the Riggs Park neighborhood. A native Washingtonian, Bowser earned a Bachelor of Arts degree in History from Chatham College and a Master’s degree in Public Policy from American University.